Editor’s Note: When talking about elk, many people think of states out west like Colorado or Montana, but there are healthy, well established herds in the eastern United States. Today marks the opening day of Pennsylvania’s Elk Season, which exemplifies the conservation efforts of hunters across the country. Enjoy this brief history of the Pennsylvania elk. Images courtesy of Greg Schweitzer. The history of elk in Pennsylvania is a story of renewed opportunities. Elk were once hunted to extinction in Pennsylvania. The forests where native elk once lived are now providing habitat for descendants of Rocky Mountain elk. Over a century has passed since the first Yellowstone elk were transplanted into the north central region of the state and conservation efforts have caused significant annual herd growth in the last few decades. This elk population increase has led the Pennsylvania Game Commission to conduct annual elk hunts in Pennsylvania. In 2001, 30 licensed elk hunters harvested 27 elk. These were the first elk taken during a Pennsylvania elk hunting season in over 70 years. The colonization and development of lands, along with exploitation by European settlers, brought an end to the eastern elk of Pennsylvania. By the late 1870’s the last of the eastern elk subspecies were extinct. One of these last known elk native to the state of Pennsylvania is believed to have been taken from Flag Swamp, near St. Mary’s, in Elk County. This elk was taken by Jim Jacobs after a pursuit lasting several days. Strongholds in the hills of Pennsylvania’s north central counties were the last places these animals were once found. Today, we can still find elk thriving in the hills of north central Pennsylvania. In fact, one of the largest herds of elk found east of the Rocky Mountains can be found here. Elk numbers in Pennsylvania are estimated to be around 800-900 animals. These elk however are not descendants of eastern elk. Elk currently residing in Pennsylvania were introduced from western stocks of Rocky Mountain Elk. Pennsylvania’s declining numbers of wildlife brought the creation of the Game Commission in 1895. In 1912, the Game Commissioners and Executive Secretary Joseph Kalbfus began talking about the reintroduction of elk in Pennsylvania. Elk herds at Yellowstone National Park and the Jackson Hole Refuge Area were growing to unsustainable levels and these preserves were protecting what was left of America’s elk population. The U.S. Department of Agriculture’s Bureau of Biological Survey and Department of Forestry decided instead of sanctioning a hunt to decrease elk numbers on western preserves, that they would be willing to relocate the animals to Pennsylvania. The expenses of capture and transportation would need to be paid by the Game Commission to reintroduce elk into Penn’s Woods. It would cost $30 per elk. This was a small price to pay in order to bring these majestic creatures back to the state. It was decided that in order for the effort to be successful, the reintroduced elk would need to be set free in the largest tracts of our state forests as far away from cultivated land as possible. And so in 1913 the first shipment of Yellowstone elk arrived by train. Half of these elk were released in Clinton County. The other half was released in Monroe County. Another 22 elk were purchased from a private Monroe County preserve. These animals were released on state lands in Monroe County and a preserve in Centre County. In 1915, 95 more Yellowstone elk were brought in and released into six north central Pennsylvania counties. The elk herd was beginning to grow. At this time farmers began to complain about crop losses, blaming the reintroduced elk. Poachers also started to take some of the transplanted elk. Still, elk numbers in the state continued to grow. The first scheduled elk hunt in Pennsylvania did not take place until 1923. Bulls with at least four points to one antler were legal game for the two week elk season slated for the 1923 hunting season. Still hunting and stalking were the only hunting methods allowed. Organized drives were banned and hunters who failed to comply were subject to a $100 fine. During the first Pennsylvania elk hunting season, 23 legal bulls were harvested. The next three years saw a total harvest of 25 elk bulls. The 1927 season marked the highest total of elk bulls taken in Pennsylvania with 26 bulls harvested. Then the hunt totals dramatically declined until only one bull was harvested in 1930. Elk numbers were estimated to number around 200 animals at this time. The herd began retreating to the same areas where the last of the eastern elk had once found refuge in Elk and Cameron counties. Interest in Pennsylvania’s elk faded into general obscurity from the beginning of World War II until the 1970’s. It is during this time that conservative counts numbered the heard at about 100 animals. Visitors to the region would marvel at the elk roaming the hills of north central Pennsylvania. Farmers on the other hand were losing patience with the elk encroaching on bordering crop fields. The Pennsylvania Game Commission wouldn’t until later begin to ponder the future of elk in the state. A meeting at Emporium to discuss the state of Pennsylvania’s elk herd in 1970 began a time of renewed interest. It is during this time that several agencies including the Department of Environmental Resources and Penn State researchers began studying the elk herd and ways to improve habitat for the animals. The first time an elk in Pennsylvania was fitted with a marking collar to track movement was 1981. Research and studies of elk during the 1980’s focused on elk movements and their home range. These studies helped with insight of elk food preferences, seasonal movements, and habitat uses. In the early 1990’s, elk research and monitoring concentrated on herd reproduction, calf mortality, and health profile data. The elk herd in Pennsylvania continued to grow during the 1990’s. By the year 2000 the elk herd numbered over 500 animals. Research, habitat management, and deterrent fencing were a few of the reasons why elk continued to flourish. The public also began to take more notice of the elk in Pennsylvania. Nearly 20,000 hunters now apply for a Pennsylvania elk tags each year. The elk license drawings are based on a preference system. This means that hunters who do not draw elk tags will be given a preference point for each year they do not draw an elk tag. Non-residents of Pennsylvania can also draw tags. Elk hunters who are fortunate enough to draw a tag can find several experienced elk hunting guides. A guide can greatly enhance your hunting experience and increase your chances of harvesting an elk in Pennsylvania. Guides know the area where the elk live and spend a lot of time scouting the areas. Individuals who draw an elk tag will be provided a list of permitted guides before the hunt. Elk guides are regulated by the Game Commission and the Department of Conservation & Natural Resources. 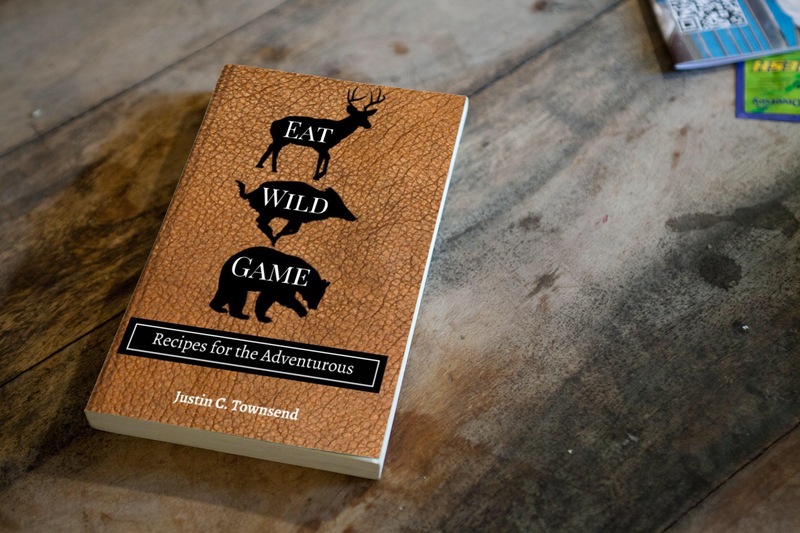 Employing the services of an elk guide/outfitter is completely up to the hunter but not required. By doing some research, elk hunters can find the right guide for their hunt and also do well to learn more about elk in Pennsylvania. An adult bull elk can way up to 1,000 pounds. Cows top out around 600 pounds. Planning and preparation is very important and hunters must be prepared to transport a harvested elk. 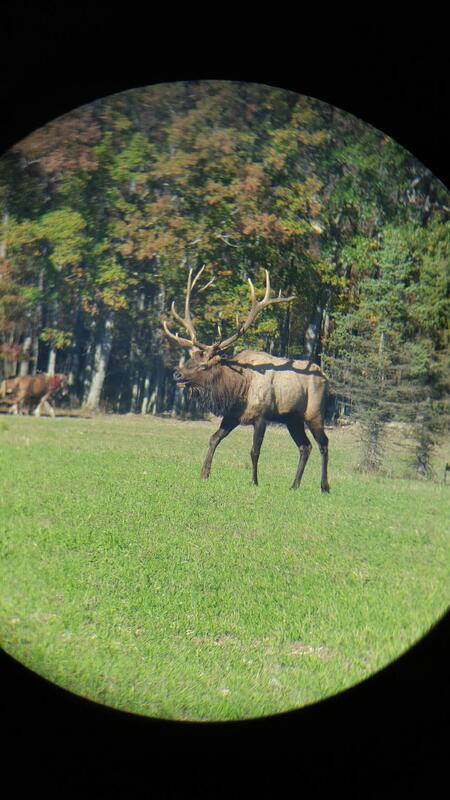 A trophy bull elk in Pennsylvania is a truly magnificent animal. When I asked a respected taxidermist if he has ever mounted a Pennsylvania elk, he replied, “Pennsylvania bulls are much larger than the ones out West.” He added, “I used to do their head mounts, but the antlers are so heavy it became too difficult.” He still does the mounts for his clients who bring elk back from out West. Does the elk herd in PA suffer any losses from predators such as coyotes or bob cat, or wolves if that predator is found anywhere in PA. Understandable if local farmers are concerned about elk damage to their crops, but is it now significant? 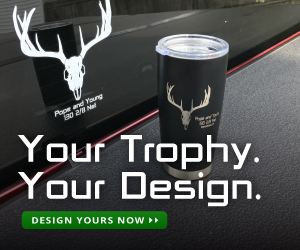 Looks like a genuine trophy for a hunter. Good luck to PA for continuing to propagate this great animal.